It's been a while since I've posted one of these, so most people have probably read about them elsewhere. Just in case, here are a bunch of concerts coming through town that are worth checking out. 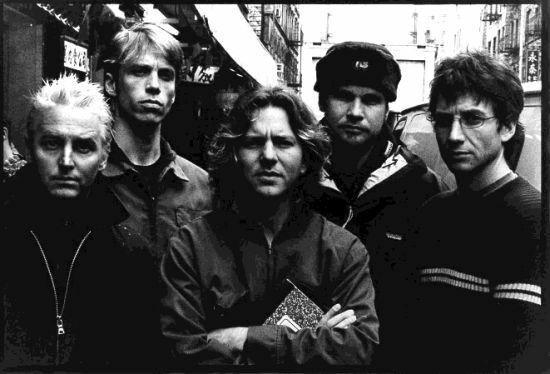 Pearl Jam and Band Of Horses will be at the Sprint Center on May 3rd. PJ is a band I grew up loving and they put on one of the best live shows I've seen so I'm pretty excited about this. Add Band Of Horses as the opener and I'm sold. The Black Keys will be at The Crossroads in midtown on Friday, June 4th. Pollstar is reporting that The Psychedelic Furs will be at the Midland on June 14th. I've seen them once before but if you know me, you know how geeked out I get for certain 80's bands, and the Furs are certainly one of those bands. Not even the fact that She Wants Revenge is opening the show could ruin my excitement. Check out the FULL LIST of concert dates for the area.